I’m not sure if I’ve told you this before, but I’m the only one not studying a postgraduate qualification in my share house (I dropped out). I’m living with a CFA candidate, a PhD candidate and a Masters student. Such high achievers! Therefore, I am of course, trying to make them fat. Only kidding. The biscuits could actually be termed quadruple chocolate, because I count the cocoa as one of the chocolate components, however you could well add white chocolate bits to the mix and get yourself a fourth component. I also think the recipe is quite resilient: you could put cranberries in for some chewiness and a hint of tart flavour, or chopped nuts of your choice for some crunch. It also works well if you don’t have some of the ingredients on hand: I have swapped the brown sugar for raw sugar before, butter for dairy blend/margarine etc. Beat butter and sugar then add egg and vanilla and beat a little more (not too much). 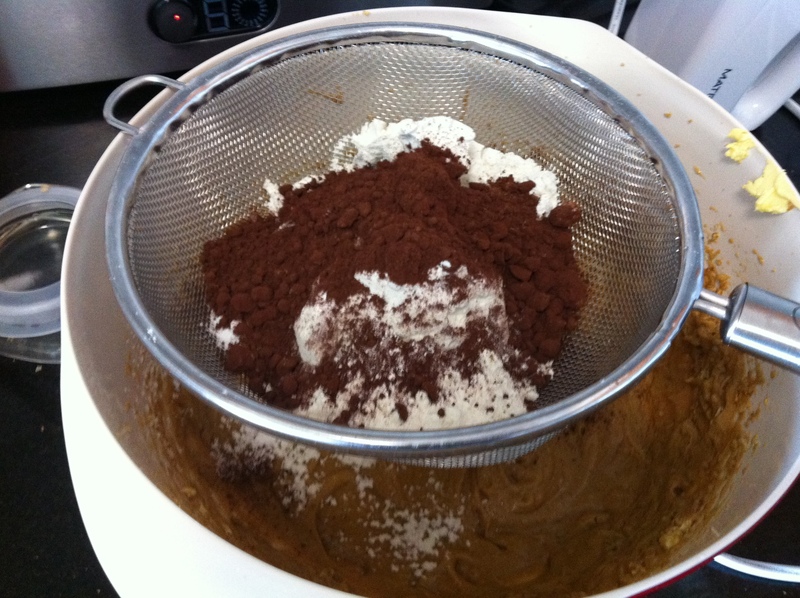 Sift in dry ingredients then stir in chocolate chips. Line a tray with baking paper and spray it lightly. The baking paper isn’t entirely necessary, but I find it helps with cleanup, also, my trays are manky. Drop tablespoons of mixture onto tray allowing 5cm between each. Bake for around 10 minutes – if you’re my oven, the first batch will take 12 minutes but the next will take around 8-9 minutes. Stand on tray for a couple of minutes since they are quite soft when they are first out of the oven, then cool on a wire rack. The batch makes about three trays worth, and last time I made these they disappeared overnight. Pigs! I hope to be posting about my experiences cooking some other bickies soon, because I’ve been loving the series Baker Bettie has been doing about the science behind cookie creation (and the recipes!). I’m trying to find time to put some of her ideas and know-how into practice. 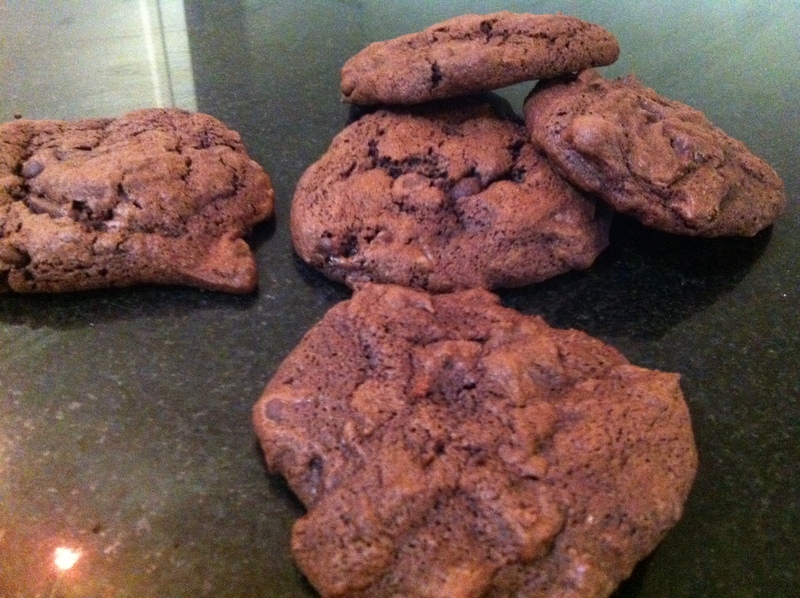 Tags: baking, biscuits, choc chip, cookies, sweet treat, triple choc. Bookmark the permalink.